5,000 PDP members defect to APC in Delta – Royal Times of Nigeria. 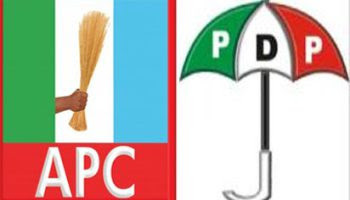 Over 5,000 members of Peoples Democratic Party, PDP, in Ughelli North Local Government Area of Delta State, have defected to All Progressives Congress, APC. “If you go out there right now, you will see Deltans struggling to survive despite the huge allocations that come to Delta State,”.